The organizational structure used in a company is intended to increase productivity, provide direction and motivate employees. Various types of structures are used in organizations, such as functional, matrix or multidivisional. Each structure plays a vital role in the way an organization handles conflict, customer service and employee retention. Multidivisional organizational structure is commonly used in order for the different divisions to make quick changes without having an extensive hierarchy of approval. 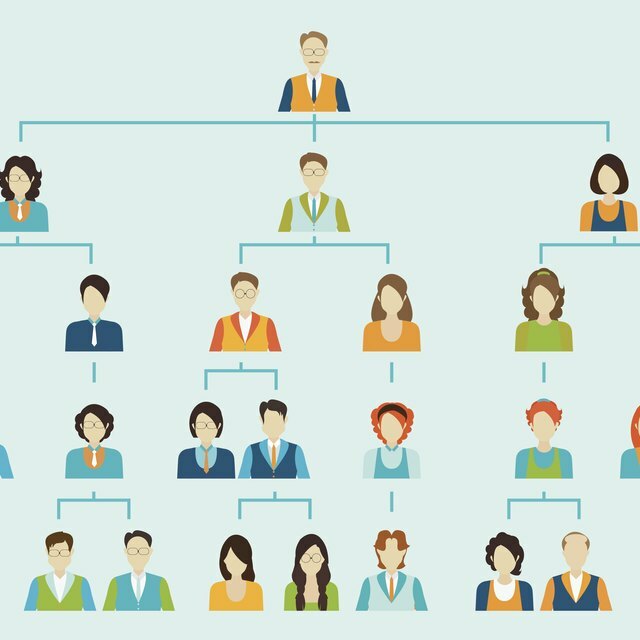 According to the Human Resource Management Guide, a multidivisional organizational structure consists of self-contained units that operate as their own separate entity. For example, Procter and Gamble owns multiple national brand names and creates a self-contained business model and organizational structure for each product. Each brand is given its own corporate identity, leadership and organizational design. The multidivisional organizational structure provides advantages in coordination, according to Lamar University. Products and services are given the focus they need to retain quality. Communication between facilities is more effective, problem-solving is manageable and teamwork is encouraged through this structure. Due to the fact that each department operates as its own business, people are not overlooked, and processes can be evaluated and changed for greater effectiveness. A multidivisional organizational structure promotes motivation among team members because of the performance/reward connection. This structure makes it easy for leadership in the organization to maintain keen oversight and reward those who perform well. The service provided to customers meets their needs more appropriately because leadership and employees work more closely with customers. There is also clear identity and purpose in this structure that increases team member loyalty, dedication and satisfaction. A multidivisional organizational structure does have some disadvantages. The disadvantages deal directly with external relationships. Although the department itself is very close and possesses a defined identity and purpose, communication between departments can be difficult. Conflict between departments is common due to competition and differences in values, systems and expectations. This structure also costs more to operate and manage because each division is considered its own entity. Hire an external consultant to perform a needs assessment to determine if a multidivisional organizational structure is the most effective structure for your business. A needs assessment takes an objective look at the organization’s effectiveness, points out areas of weakness and provides feedback on how to implement positive change.